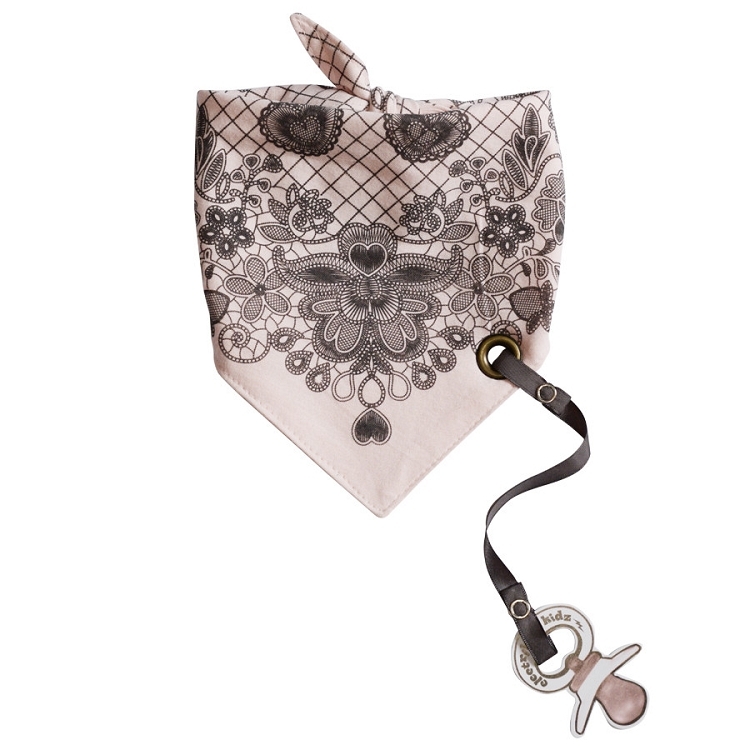 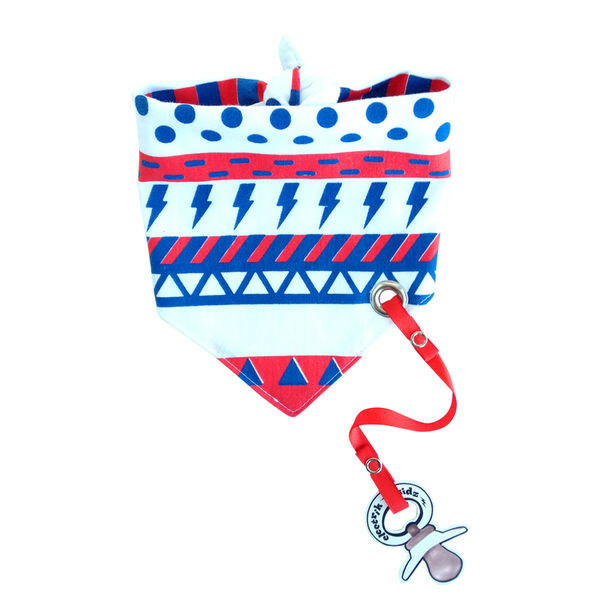 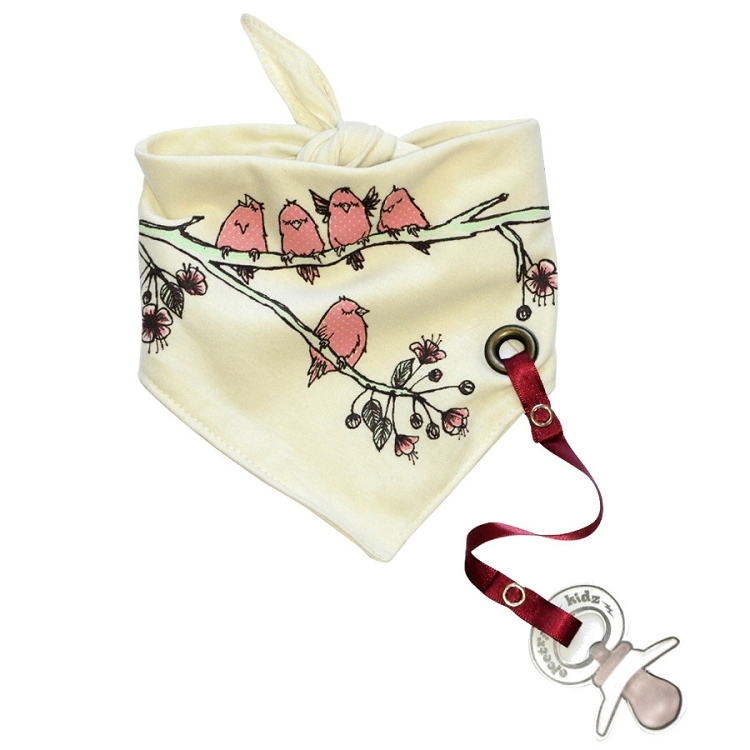 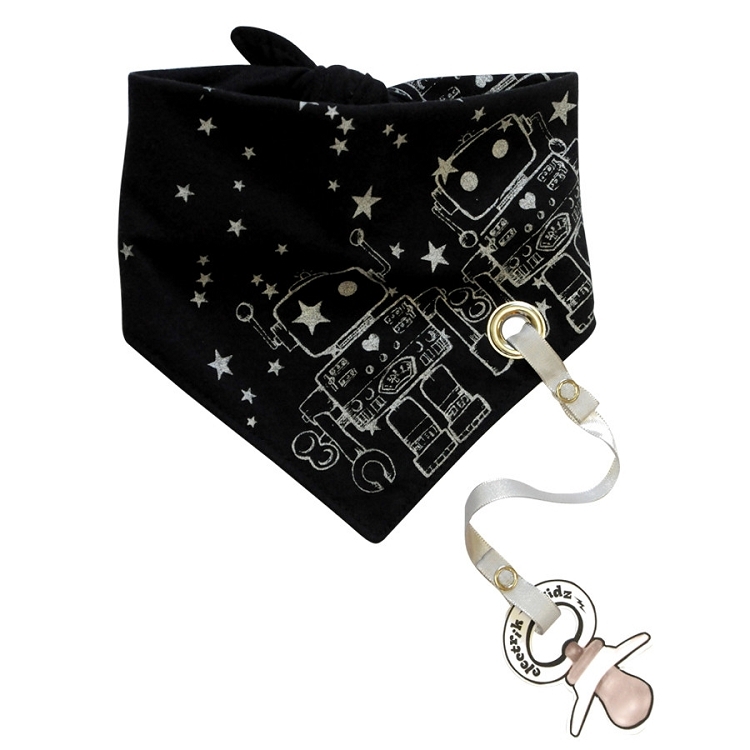 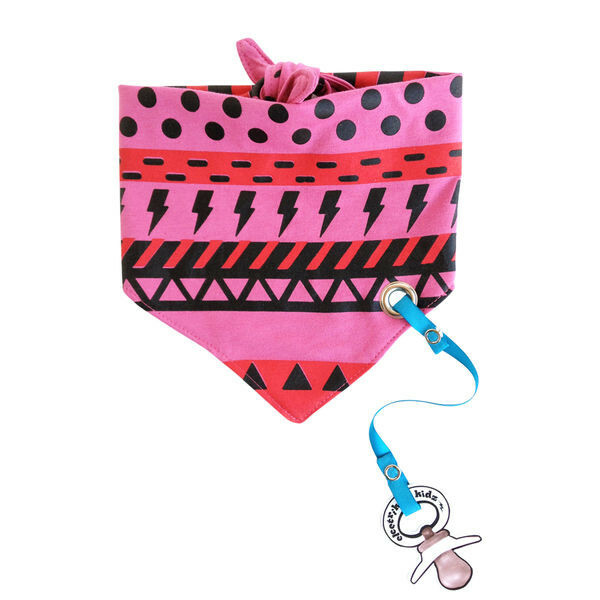 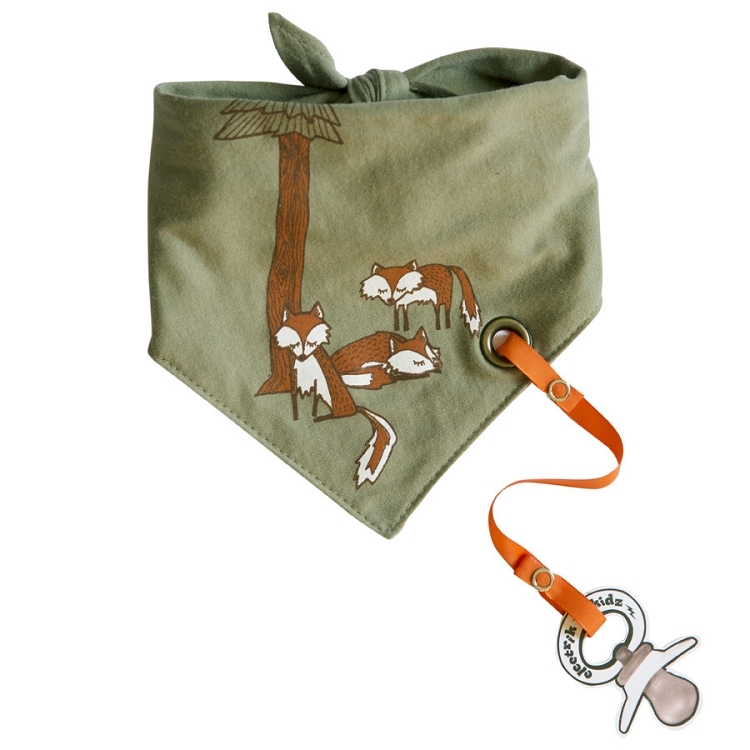 Kerchief bib with detachable pacifier clip. 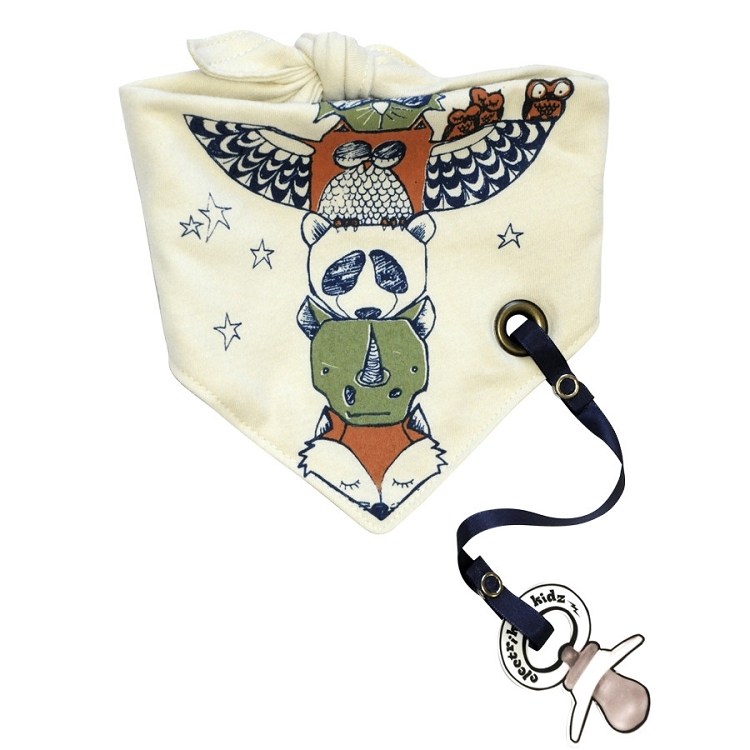 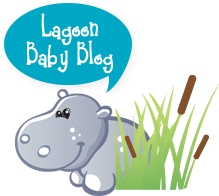 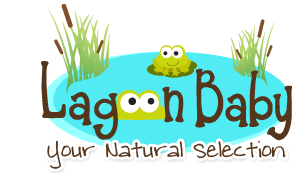 The baby bandana is a modern alternative to the traditional bib and a fashionable wardrobe accessory for teething/drooling. 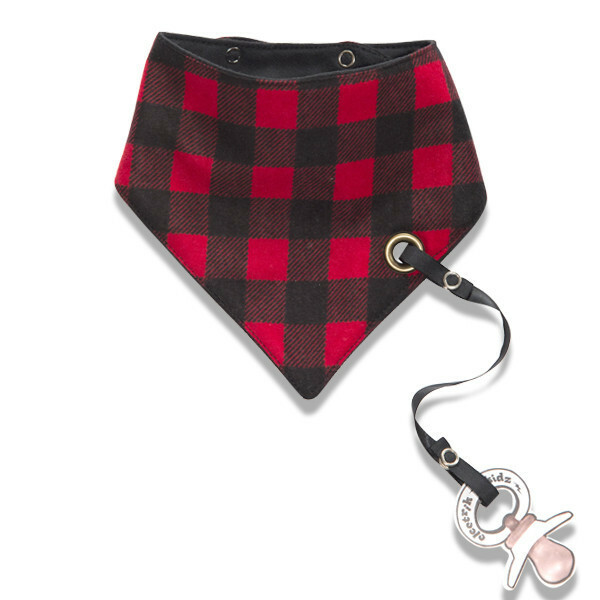 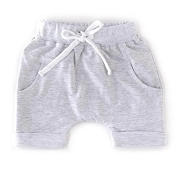 It's like a bib, but cooler!